I Love SpearoNation How Can I Send Money? 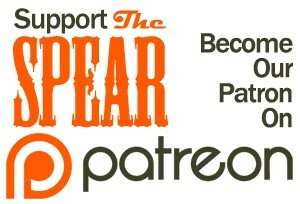 Out of all the options to support the show, I prefer the Patreon model because I’m in it for the long haul. This is the best way to keep the show as pure as possible. Since it is listener supported I can focus on the listeners instead of trying to build relationships with sponsors too. Talking with potential sponsors, putting together rate cards, and everything else that goes into attracting sponsors takes away from the show. My time is limited and I’d rather spend it making more of the content you want. Thank you for helping me make SpearoNation possible. Buy it via This Link to support SpearoNation.